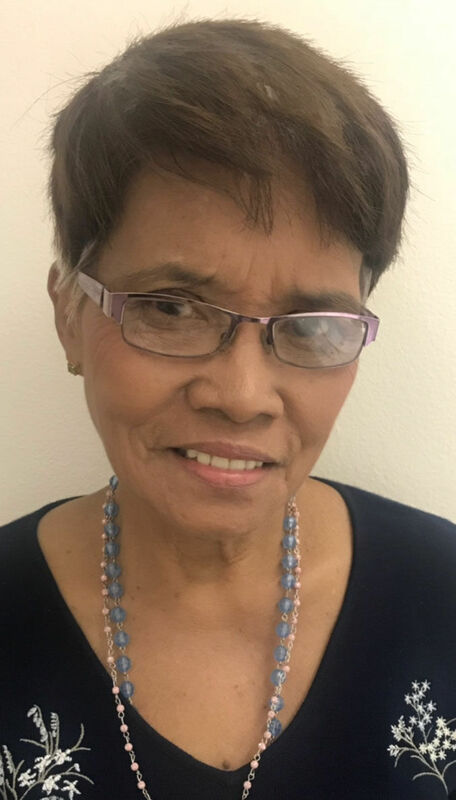 CAPE GIRARDEAU -- Patricia Jimena Basilio Tilley, 69, of Park Hills, Missouri, passed away Thursday, January 3, 2019, at Saint Francis Medical Center. Patricia was a member of the Potosi Order of Eastern Star and was a U.S. Citizen; something she was very proud of. Loving survivors include her husband, Bill Tilley of Park Hills; her mother, Leonidas Jimena of The Philippines; daughter, Flora (Randall) Meek of Cape Girardeau; many friends and relatives in the United States and The Philippines. A private family services will be held at a later date. Ford and Sons Funeral Home was in charge of arrangements. Online condolences may be shared at www.fordandsonsfuneralhome.com.